Alex De Minaur survived qualifier Henri Laaksonen in five sets and will next face Rafael Nadal, who beat Matt Ebden. 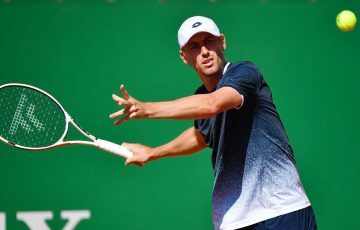 John Millman fell in a five-set epic to Roberto Bautista Agut. 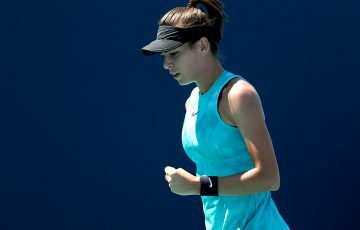 The 19-year-old Sydneysider was on weary legs heading in the deciding set on Wednesday night but rallied in front of a raucous home crowd to triumph 6-4 6-2 6-7(7) 4-6 6-3. “I’m actually feeling good. I thought physically I handled the situation really well. 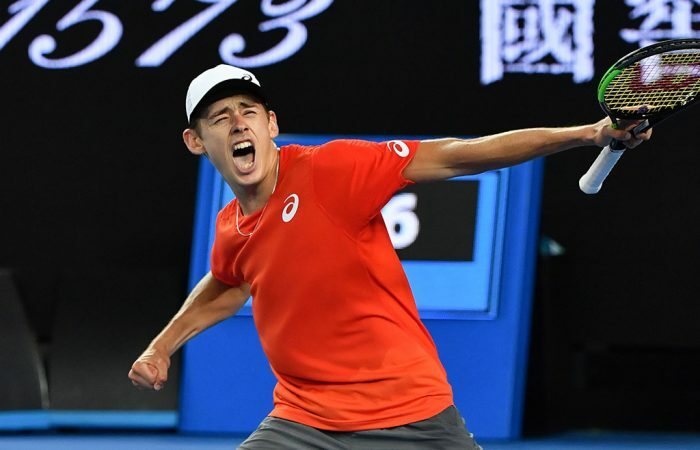 I felt like the whole body was feeling good,” De Minaur said. “This is why you do the hard work in the pre-season, for matches like this, to be able to feel strong and feel confident in yourself physically. That also helps you out there on court mentally. The Demon through in an EPIC! 6-4 6-2 6-7 4-6 6-3. His reward for the round-two win in three hours and 52 minutes is another showdown with 17-time Grand Slam winner Rafael Nadal, who beat him in the third round at Wimbledon last year. 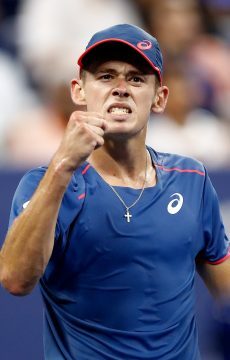 De Minaur has now reached the third round at his last three straight major tournaments. At the same time as De Minaur was competing at Margaret Court Arena, Nadal was facing another Australian, Matt Ebden, at Rod Laver Arena. Nadal added Ebden’s scalp to that of his first round opponent, James Duckworth, with another straight sets victory – 6-3 6-2 6-3. Playing just his second tour match since the 2018 US Open, the Spanish powerhouse showed no signs of any injury in a dominant display. 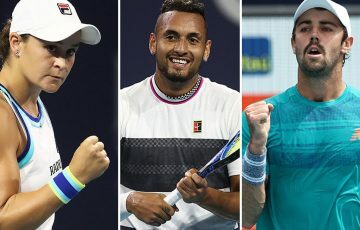 Nadal said he was well aware of De Minaur’s prodigous talent with the 19-year-old, who has a Spanish mother, splitting his time between Spain and Australia. 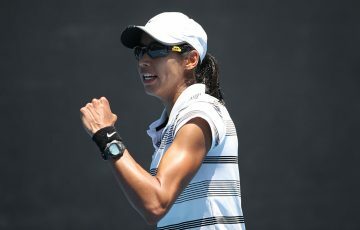 Yet another Australian, John Millman, was at the same time embroiled in an epic across at Melbourne Arena. Roberto Bautista Agut, the 22nd seed who eliminated Andy Murray in round one, outlasted the Australian No.2 6-4-6-1 3-6 6-7(6) 6-4. Fans were experiencing “Millmania” after the Queenslander saved four match points to win the fourth set, but he couldn’t go the distance. Millman looked like he would be rolled in straight sets with the Spaniard dominating the early exchanges. But the Queenslander found his groove in the third and worked his way back into the match. The Spaniard led the fourth-set tiebreak 6-2 but Millman wouldn’t surrender, saving all four match points with winners then delivering a forehand winner to seal a thrilling set. 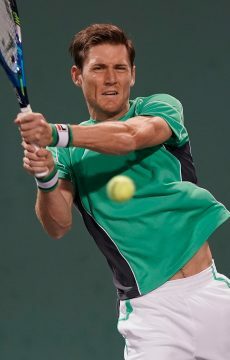 Bautista Agut got the break in the fifth to lead 4-2 and maintained that advantage before serving out the match. “It’s really tough. It’s obviously very tough to be here, too, after that one. I left it all out there. 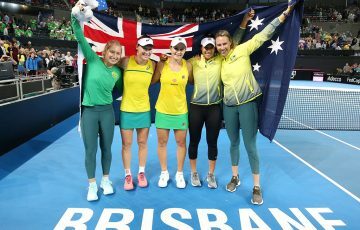 Gave it a crack,” Millman said. “He’s a pretty professional player. He came back (in the fifth), I think similar thing happened when he played against Andy. He’s a very good player. There’s a reason why he won Doha, beat Djokovic and Berdych on the way, to win that just a week, two weeks ago.